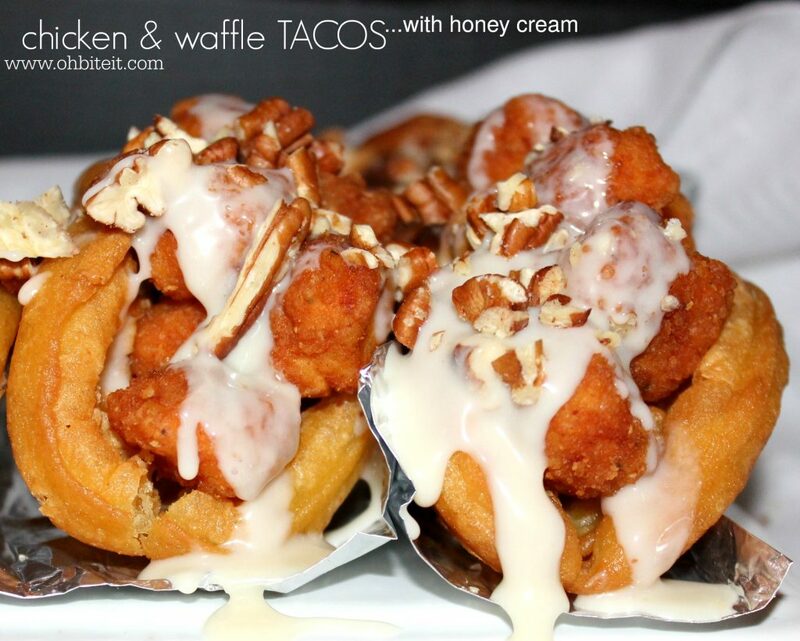 ~Chicken & Waffle Tacos.. with honey cream! Now, let me get to the good part, the part that “made me do it”. 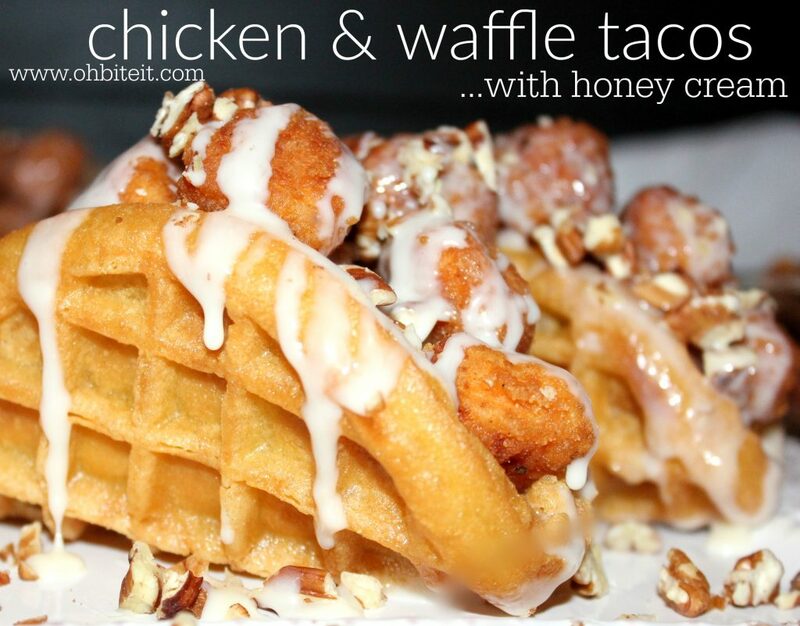 This is the part where I acknowledge the fact that we’ve see just about anything and everything turned into waffles right?! 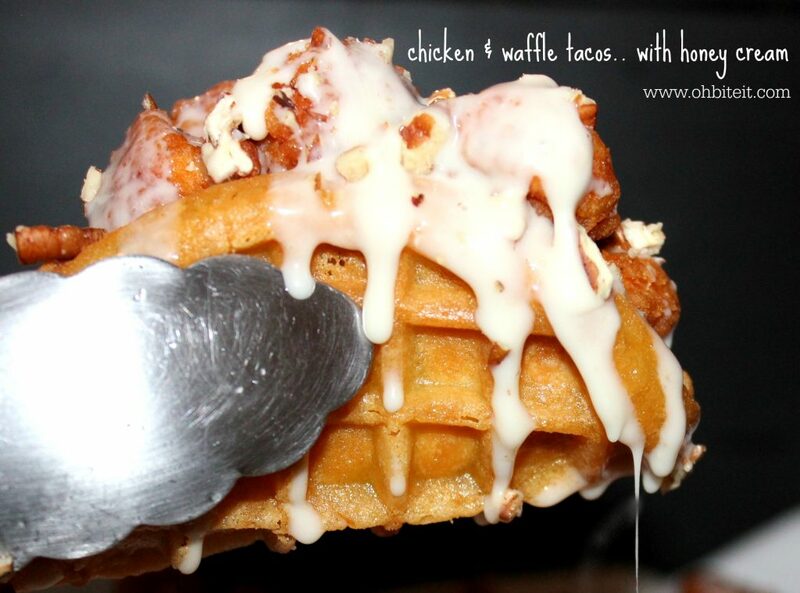 We’ve waffled our lives away with everything from breakfast to dinner. 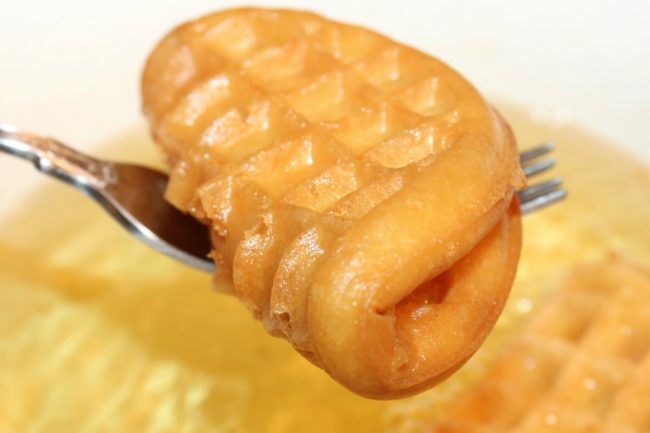 BUT.. when was the last time you saw the actual waffle turn itself into something else? I bet it’s been a minute. 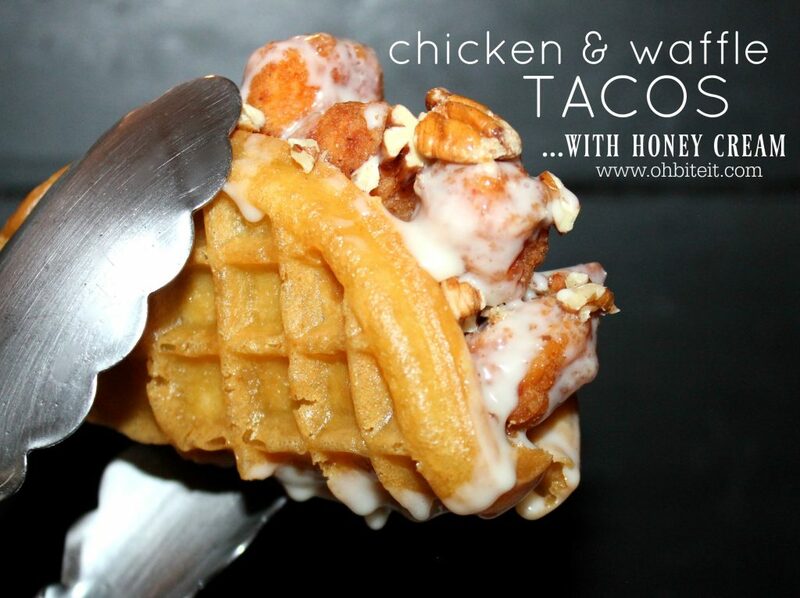 So I thought it would be fun to take that poor forgotten plain old waffle and transform it into something we all love, something magical and incredible..YEP.. a Taco. 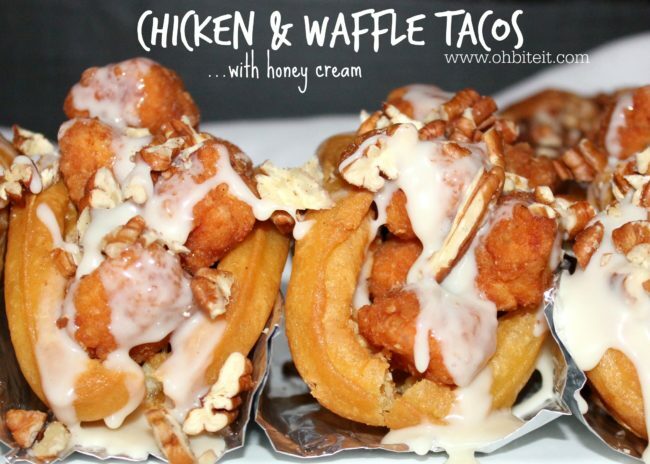 I’m not talking about just your regular taco, although that would probably be SO good as well, but nope, ..this time I’m talking about the classic combo of chicken and waffles! 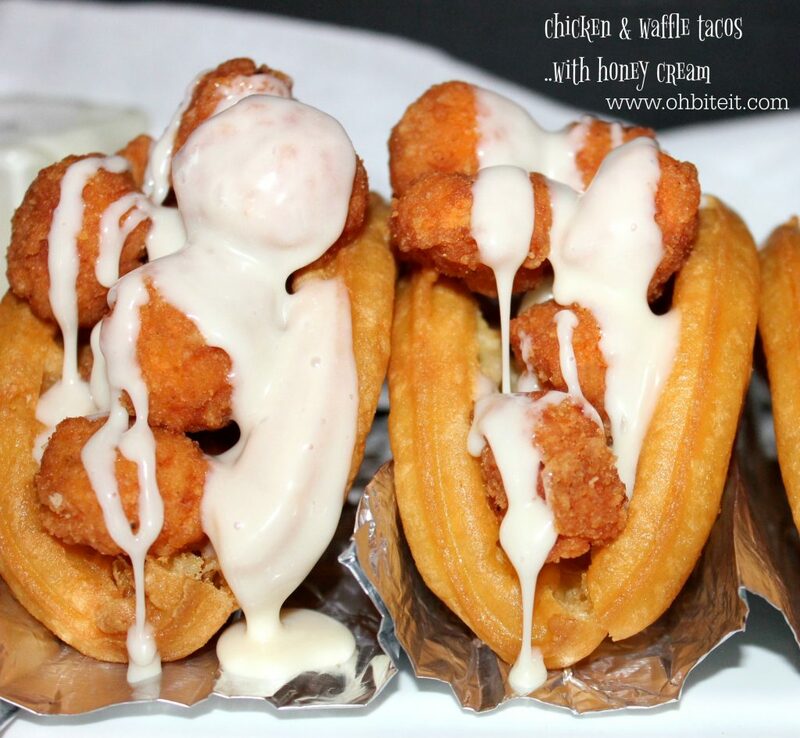 This waffle is shallow fried to a golden, toasty crisp, then filled with fried chicken chunks, and topped with the most amazing honey cream sauce just to drive its deliciousness right into your skeptical mouths. 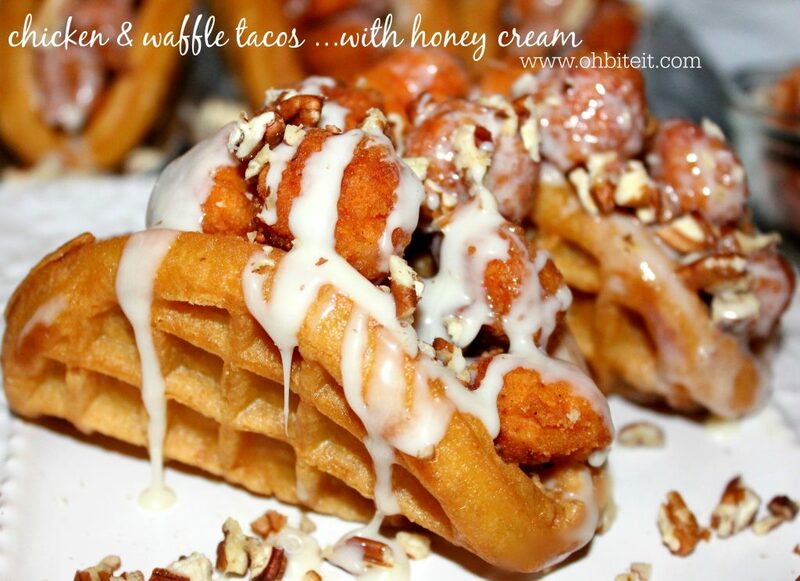 waffles.. from the frozen section at your grocery store actually work best for this. fried chicken .. 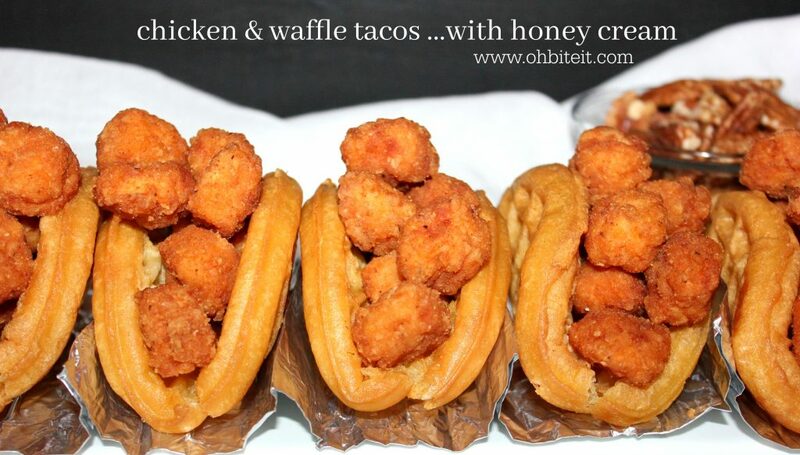 I used store bought popcorn chicken. Simply mix up: 3 parts honey to 1 part heavy cream until smooth. Heat up your oil in a medium pot.. 350 degrees is best. 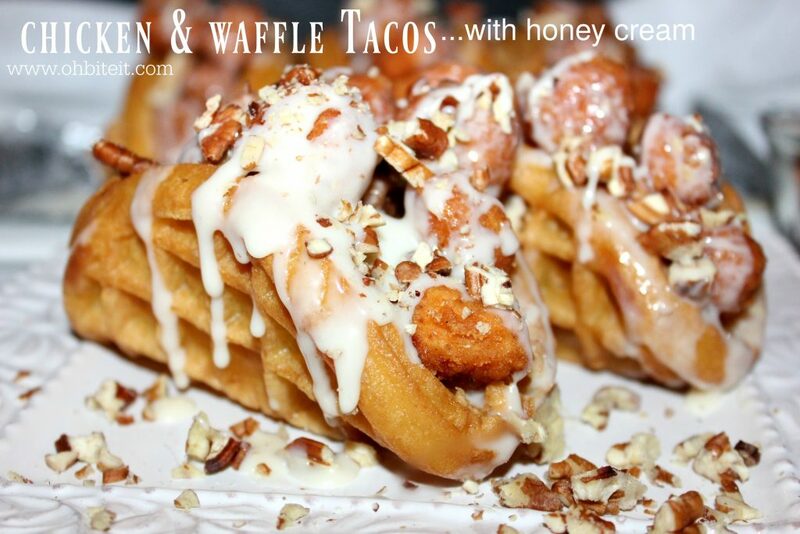 While the oil is heating up, make the honey cream, buy mixing the honey and cream together.. set aside. 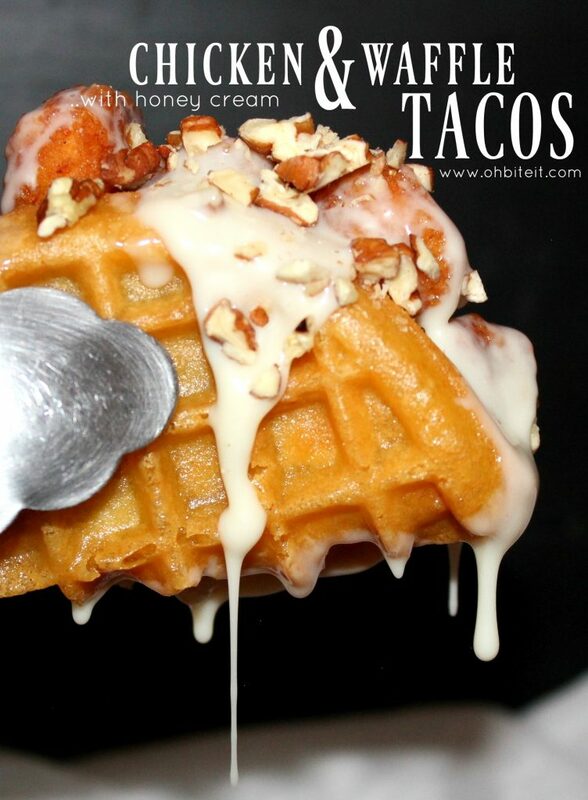 Defrost your waffles~ and gently fold them over one at a time, and into a ‘taco’ shape. 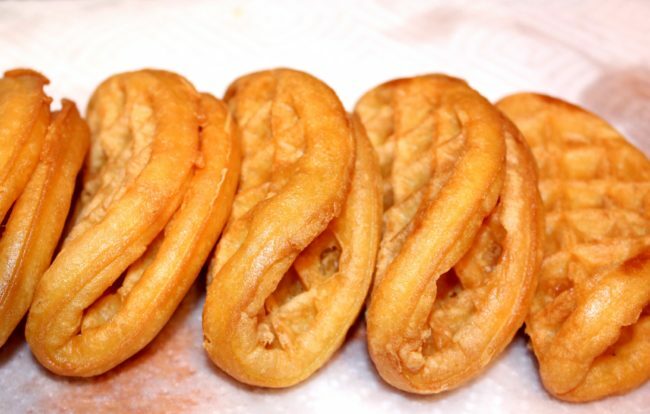 Using tongs to keep their shape, carefully place the folded waffle into the hot oil. Once the shape is secure you can let it go.. be sure to flip it over for even cooking. Once they’re cooled, fill them with your chicken~ and when I say “fill”.. I mean stuff those babies GOOD. Now it’s time for the BEST part .. the honey cream! DO IT..and do it well. And it’s also time to share, although let’s be real, we could all take these down by ourselves, but we should do the right thing and remember our manners, right? And then DIG IN! ~Enjoy!